Matthew Gullatt was celebrating his 19th birthday when a fight broke out. 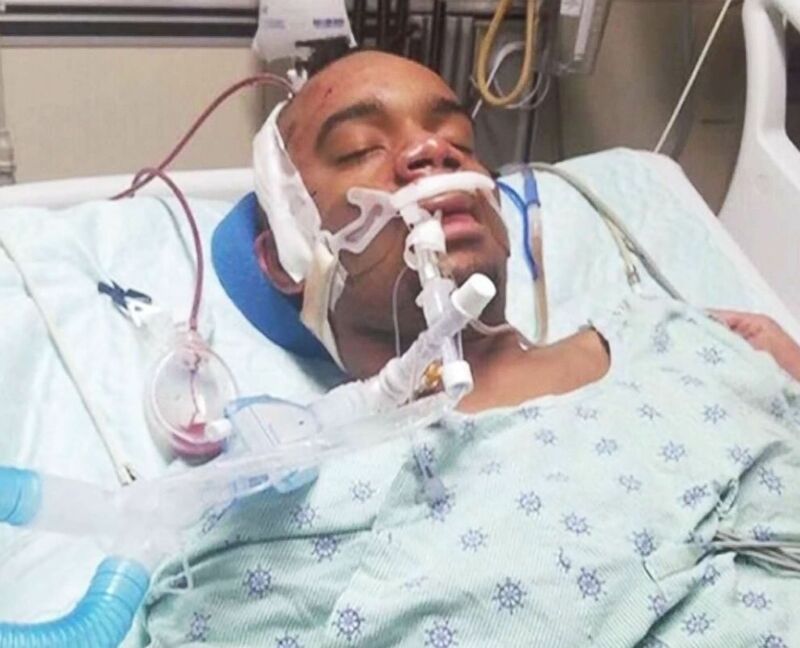 A teen has been placed in a medically-induced coma after he was attacked while trying to break up a fight on his 19th birthday on New Year's Day. Matthew Gullat was celebrating at a Fairfield Inn in Toledo, Ohio, with a group that included his girlfriend and cousin when a fight broke out in the parking lot outside the hotel before 1 a.m. Tuesday, according to the Toledo Police Department. At least 10 people were involved in the fight, police said. Investigators are currently searching for three unknown suspects, one of whom they believe goes by the first name Melvin and another who goes by the nickname "Day Day," according to the police report. 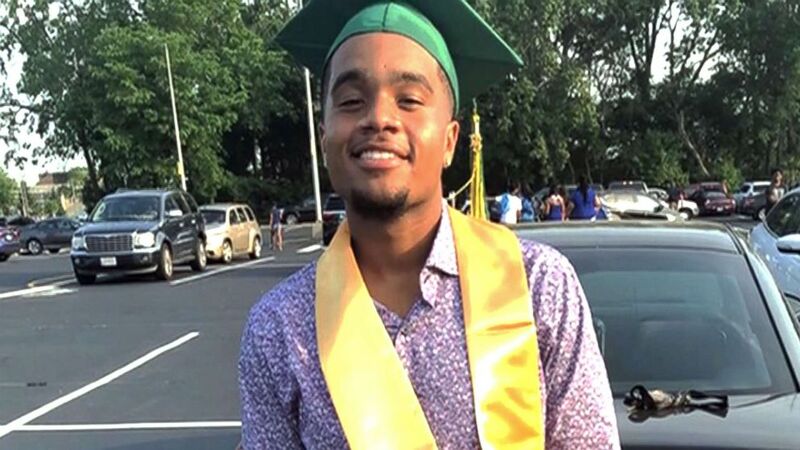 Gullat's cousin, Danielle Brown, 18, told police that she saw "Melvin," whom she recognized through mutual friends, sitting in the driver's seat of a white Chevrolet Impala, the report stated. (WTVG ) Matthew Gullatt was celebrating his 19th birthday when a fight broke out in the parking lot of the Fairfield Inn in Toledo, Ohio. After Brown said "Hi" to Melvin, a passenger sitting in the car exited and began yelling at the group, asking Melvin, "What they on?" Brown told police, according to the report. Brown said that Melvin attempted to calm the passenger, whom he referred to as "Day Day," advising him that he knew Brown, according to the report. "Day Day" then confronted a male who was with Brown, engaging him in a fight, Brown told police. When Gullat attempted to intervene, Melvin and the third suspect lifted him up before dropping him to the ground and knocking him unconscious, police said. "Day Day" then approached Gullat and and began "kicking him about the head and face, and stomping on his head and neck," the police report stated. "Day Day" continued his assault until Gullat's girlfriend, Savannah Parker, intervened, and "Day Day" then struck her on her back about three times, police said. Parker and Brown told police that they then laid over Gullat's body in an attempt to protect him as Melvin and the other suspects "drove around them repeatedly before fleeing the scene," acccording to the report. One witness who saw the end of the fight told police she saw that Gullat was unconscious and "needing help from his friends to stand," the report stated. When officers arrived to the hotel, they saw about five to six people in the parking lot helping a man to his feet and into an ambulance already on the scene, according to the report. Officers observed him to be "unsteady on his feet" and "Out of it," according to the report. Gullat was transported to the hospital, where he was placed in a medically-induced coma, his parents told ABC Toledo station WTVG. He suffered serious head injuries and is now in the intensive care unit, the station reported. Gullat's mother, Lisa Gordon, told WTVG that he is on a ventilator and has a drill coming out of the right side of his head. "Matthew is a fighter, and he's fighting for his life," Gordon said. 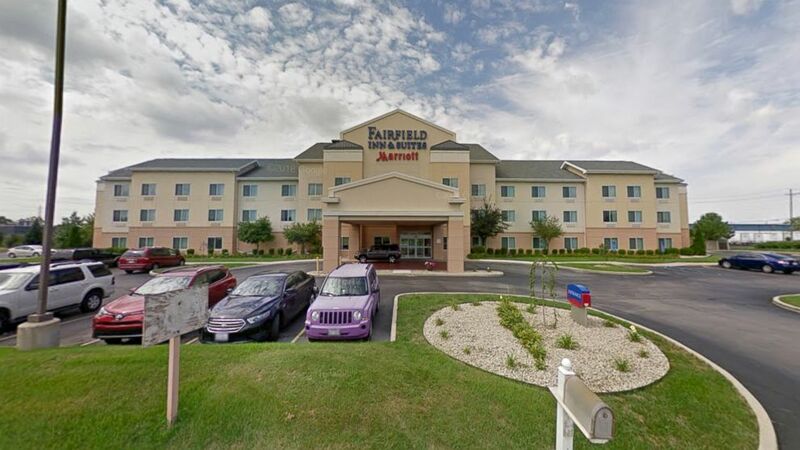 (WTVG) Matthew Gullatt was celebrating his 19th birthday when a fight broke out in the parking lot of the Fairfield Inn in Toledo, Ohio. Gullat's father, Hosey Gullat, told WTVG that he has "cried so much" since the beginning of the new year. "Just 42 minutes into his birthday, and now he's sitting in this hospital barely able to move," Hosey Gullat said. "We don't know what's going to happen." No arrests have been made in the case, Toledo Police spokesman Lt. Kellie Lenhardt told ABC News. Gullat's parents urged the suspects to turn themselves in. "I just want them to come forward and admit what they did," Gordon said. "...I forgive what they did to my son. Everybody makes mistakes, especially when you're under the influence of alcohol and drugs, you tend to do things that you normally don't do. I'm a Christian, and I have been taught to forgive."